Happy Hanukkah to you and all your pooches! Lots of dogs are getting ready to celebrate the Festival of Lights. These pups are going all out for the holiday. They’re ready for eight nights of celebration, and hopefully some kosher treats. How cute are these Hanukkah dogs?! 2. Treats For All Eight Nights! 8. Is There Something On My Head? 10. Do You Like My Tie? 12. Did I Hear Something About A Latke? 13. Can I Light The Candles? 15. No More Work! Let’s Celebrate! 20. Is It Time To Eat Yet? 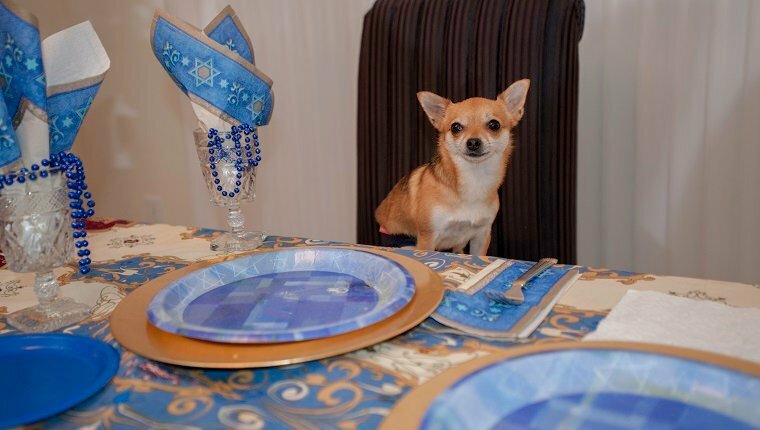 If your dog is celebrating Hanukkah with you, please post photos in the comments below. We want to see pictures! Happy Hanukkah!